A U.S. judge has acquitted a Pakistani physician of all charges stemming from allegations that he inappropriately touched a girl traveling alone on an American Airlines flight from New York City to Chicago. 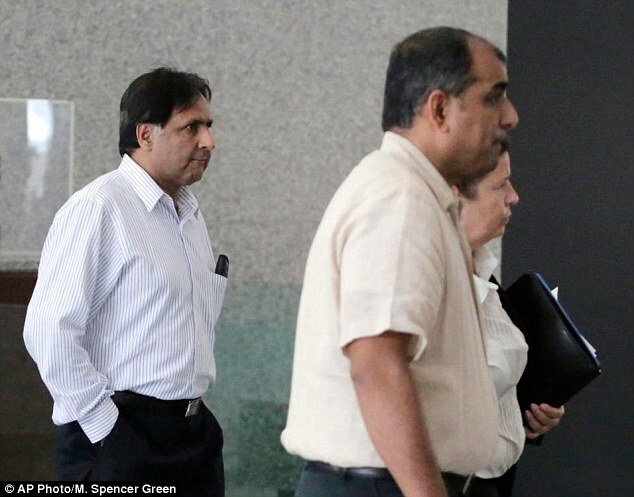 Both Muhammad Asif Chaudhry, 57, and the school-aged girl took the stand during the two-day bench trial in Chicago. Chaudhry testified that any contact there might have been was inadvertent. Prosecutors alleged Chaudhry moved from his assigned seat to one near the Iowa girl, who was traveling in July on the airline's unaccompanied-minor program. She allegedly sent frantic text messages from the plane to her mother, explaining a man had touched her and that she couldn't move because the seat belt light was on. But U.S. District Judge Sharon Johnson Coleman said in announcing her decision Monday that prosecutors had failed to prove their case. Chaudhry was acquitted of two counts of abusive sexual contact with a child between 12 and 16. Each count had carried a maximum two-year prison sentence. Chaudhry, who had been in the U.S. to visit acquaintances in Oklahoma, wasn't jailed while awaiting trial but was required to hand over his passport after being charged earlier this year. His Chicago-based attorney said Tuesday that Chaudhry now looks forward to returning home and resuming his life in Pakistan.